In some respects, Prince Charles’ standing in the public’s eyes is remarkably positive. 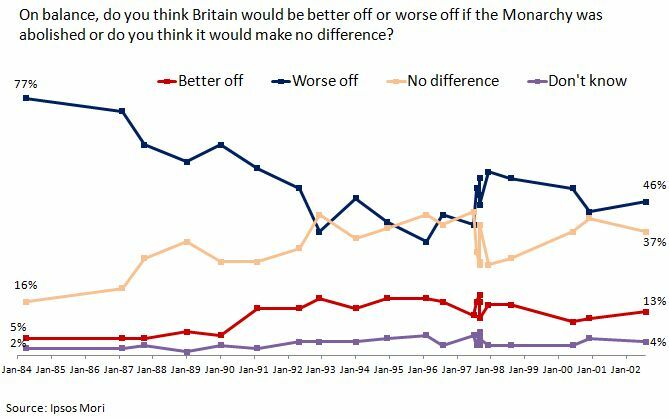 In September ’97, Ipsos MORI found that only 28% thought that he should become king if he married Camilla Parker-Bowles. That wedding went ahead, and now 47% think that he should become king. But while his standing may have improved substantially since immediately after the death of Diana, public opinion of the heir to the throne continues to suggest a problem for the monarchy. 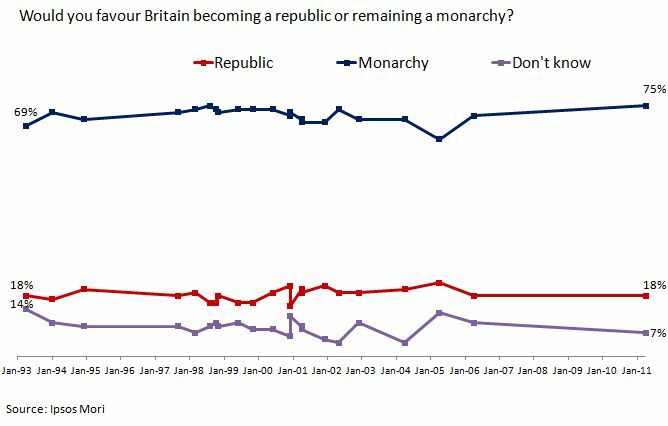 So, the monarchy remains protected from any real threat of abolition by a public opinion that overwhelmingly opposes radical change. Even those who want it reformed are reluctant to follow up their threat and commit to republicanism. But the desire to retain the monarchy might say more about a lack of enthusiasm for the other options than about a belief that the royal family is good for Britain. 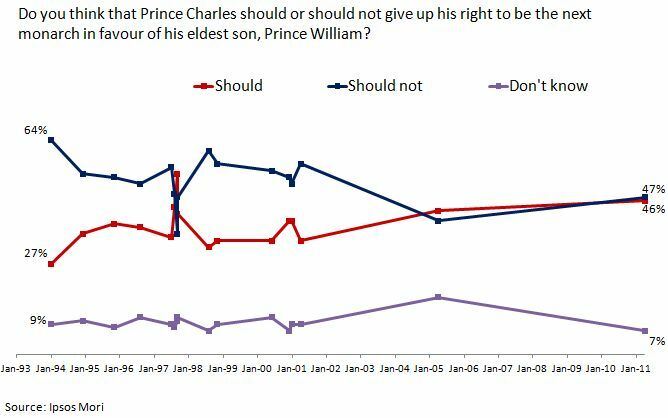 Indeed, the continuing doubts about Charles suggest that some of monarchy’s fundamental principles, like primogeniture, may still be in question. This entry was posted on Saturday, February 11th, 2012 at 20:47	and is filed under Social. You can follow any responses to this entry through the RSS 2.0 feed. Both comments and pings are currently closed.